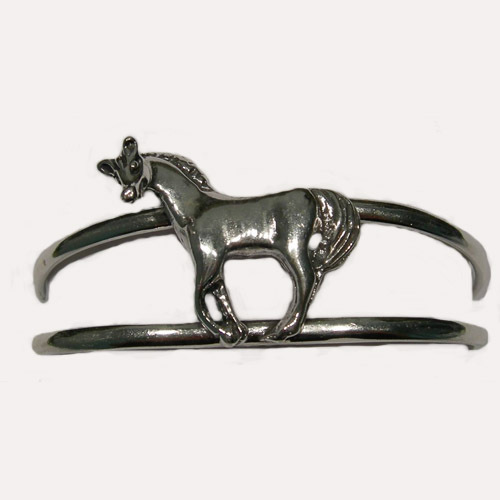 Desc: Sterling Silver trotting horse cuff bracelet. 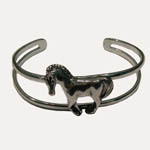 The trotting horse is mounted at the front or apex of the bracelet. The bracelet is open along the sides. The bracelet has a bright polish finish.